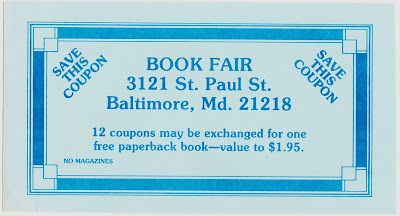 The text states: "12 coupons may be exchanged for one free paperback book -- value to $1.95. (No Magazines)." 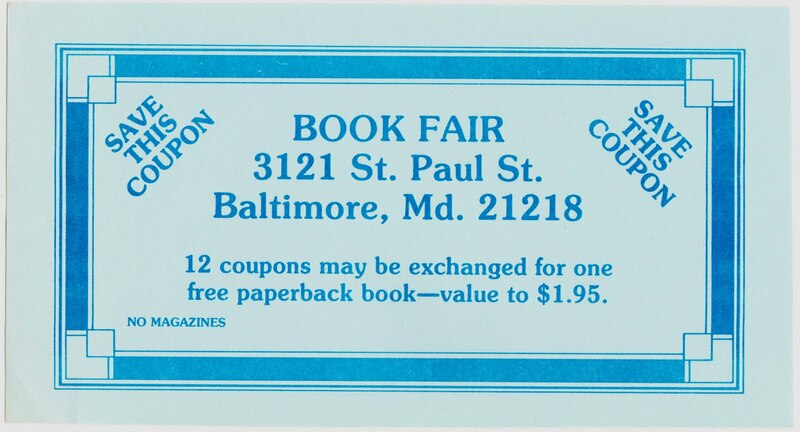 I don't know if this particular book fair still exists, but Baltimore has a snazzy-looking annual book festival, which will be held in late September this year. 1. 1980 was also a leap year. Nice coincidence for the Feb. 29 post! "Waiting for Godot" is one of my favorites! Sorry to hear you don't get a free book though.